Throwing stones is becoming an increasingly hazardous past time in urban areas thanks to the rise of glass in both period homes and modern properties across the country. So why exactly are we all clambering to squeeze as much of the stuff into our houses as possible? In short, glass got a lot more versatile when we weren’t looking. Advances in technology mean that it now offers almost endless possibilities when it comes to transforming a space both practically and aesthetically. One of the most popular concepts in the Interiors industry centres around ‘inviting the outside in’. Put simply, using large expanses of glass in place of external walls can create an almost seamless link between outside and in. This certainly gives the illusion of space if nothing more. An attractive proposition, especially in the current climate where moving costs are through the roof and home owners are looking at alternative ways of squeezing every last inch of usable living space out or their properties. These can feature sliding or bi-fold doors, creating a lovely flow between the internal and external spaces. Extensions made almost solely of glass are also now possible and can work beautifully with both traditional and modern buildings. Arguably the most dramatic results are when a period building is paired with a new modern glass structure, breathing unexpected new life into old bones. Do be aware of how much sun this side of your home gets though. You certainly don’t want to feel like you’re living in a green house all year round. 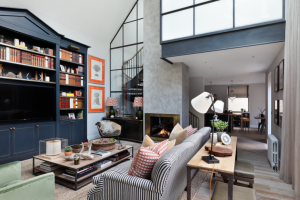 Crittall-styled spaces, with their graphic grid like charm, have jumped on the bandwagon and made a massive come back this year. The recent revival has moved on from windows to include external walls and rear extensions, alongside internal room dividers and even shower screens. The sturdy, slim frames tap into the current trend for all things industrial, allowing you to cleverly partition open plan areas into zones without compromising on light or space. Glass can also be used to draw the eye to a beautiful feature staircase that might otherwise have been hidden from view, as seen in this recent project by Interiors Designers Turner Pocock. Opaque glass is a great option in bathrooms where privacy is paramount, but window treatments are not necessarily practical. 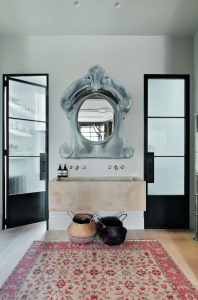 Here Tiffany Duggan of Studio Duggan has used beautiful graphic framed panel doors between a bathroom and dressing room. It is also now possible to switch glass panels between translucent and opaque at the push of a button. 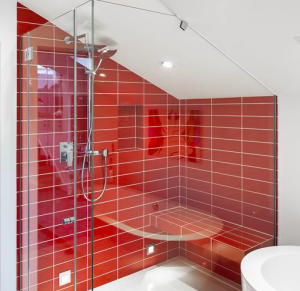 ‘Switchable’ glass is becoming an increasingly popular feature in interior design, with everything from shower walls to glass cabinets able to incorporate the technology. And that’s not all by any means. 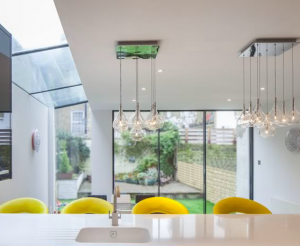 Traditional skylights have been used for years to tap into natural light, but you can now opt for a toughened glass floor in your home design. With everything from a single glass panel to large expanses a possibility, that light is now able to flood through internal spaces to a much greater extent. Essentially that’s the whole point of all these design choices. 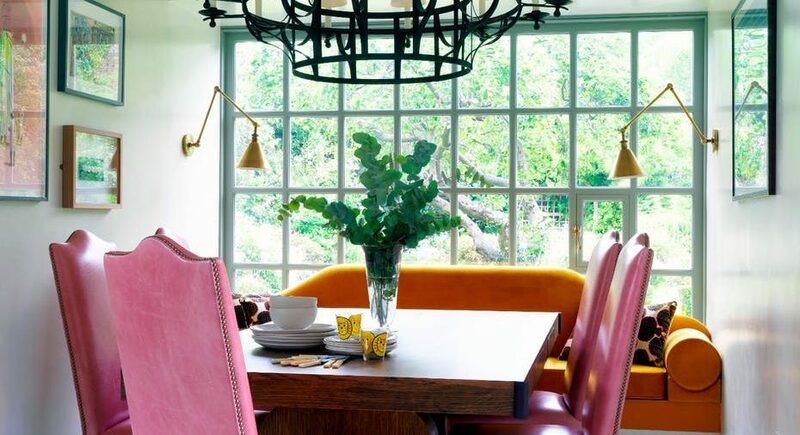 It’s that natural light that not only transforms our living spaces, it makes us feel fantastic too.